Elite road bike technology made more affordable. With its lighter spring action for even easier cleat retention and release, the Shimano PD-R540 is especially recommended for newcomers to clipless cleated pedal systems such as SPD-SL. Manufacturer's published weight: 330g per pair. 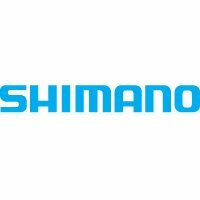 SL is Shimano's code for the road bike version of their SPD pedals. With its single platform, an SPD-SL pedal is lighter weight than an SPD double-sided pedal. Although it's single sided, and SPD-SL pedal is cleverly balanced so it's almost always right way up when you step on it. Optimised for pedaling efficiency, the SPD-SL pedal has a wider platform to maximise foot support, power transfer and comfort. The wider platform makes for wider bearing placement for uniform load distribution and longevity. The SPD-SL Pedal's low-profile design places the foot closer to the pedal axle, again to maximise power output. To help you picture the advantage of minimising the distance between foot and pedal axle, imagine how strange and detached it would feel to cycled in platform soles. The pedals come supplied with a pair of Shimano SPD-SL cleats. Using the same 3-bolt attachment, SPD-SL pedals work with any LOOK-compatible road bike shoe. Originally designed for and proven by the pro peloton, SPD-SL shoes are a now a favourite with recreation, sportive, fitness and touring cyclists too.